Apparently when I don't know how to start out a post, I just start typing what the recipe is and add an obnoxious amount of vowels, plus an exclamation point. But hey, it seems to work every time. Now about these scones...the banana is cooked down IN the bacon grease. Oh yes. Here we have the butter mixed into the dry ingredients. Some chunks are big, some are small. 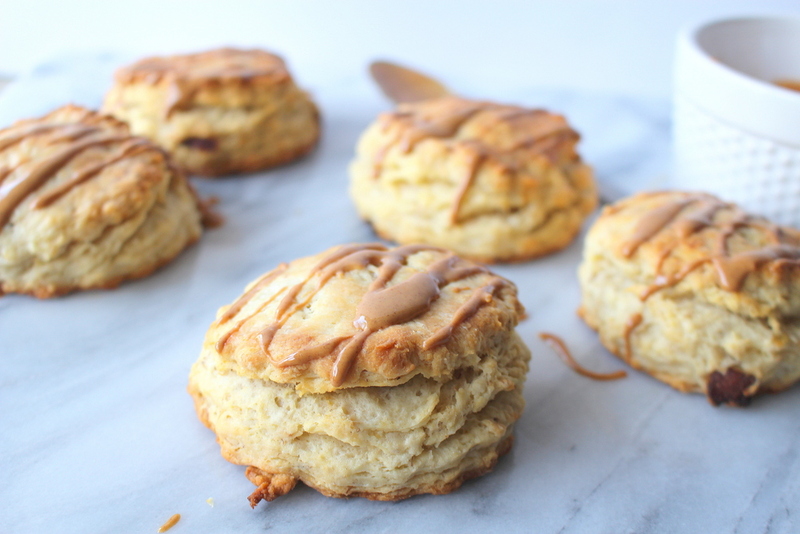 This is perfect to create an amazing fluffy scone. No hockey puck scones here. Wet ingredients and the bacon waiting to be added to the flour mixture. All combined and ready to be kneaded and rolled out. These little guys are topped with buttermilk, and baked! And done! 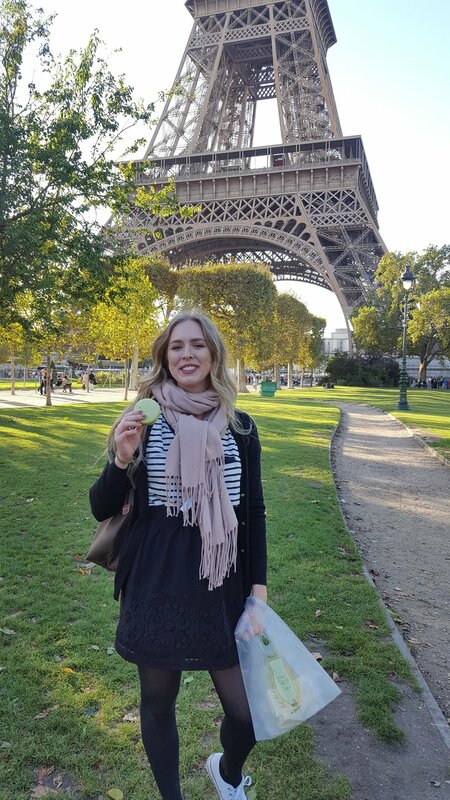 These scones have just a hint of banana, nothing too overwhelming. So using a pretty ripe banana for the recipe is best. The bacon adds the perfect salty and and smokey bite too. In a large frying pan over medium-high heat, cook the bacon until crispy and fat has rendered. Remove from the pan and set aside on paper towels to drain. 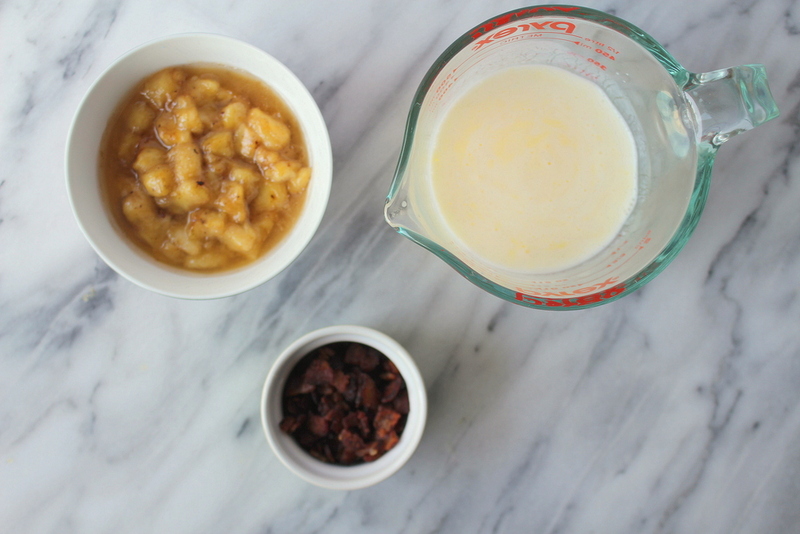 Reduce the heat to medium, and add the chopped pieces of banana. Cook until the bananas are a caramel color, and fragrant. About 5 minutes. Remove from the pan and set aside to cool. 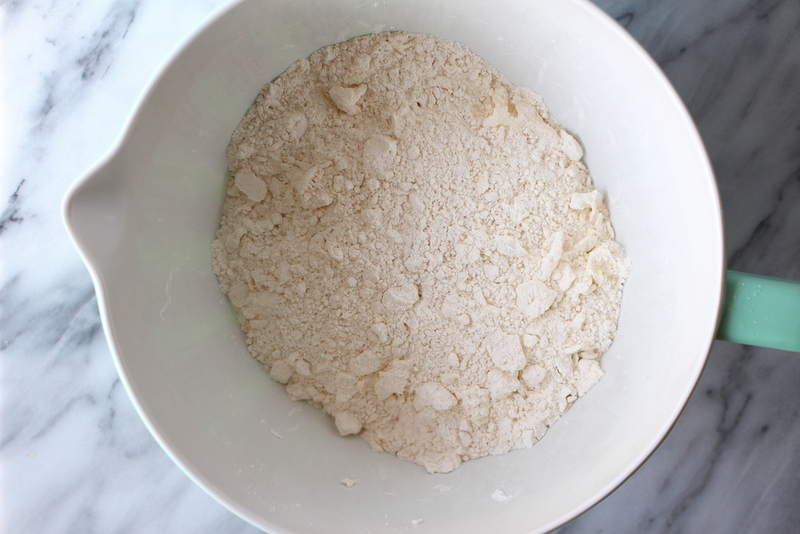 In a large bowl whisk together 3 cups flour, baking powder, baking soda, and salt. 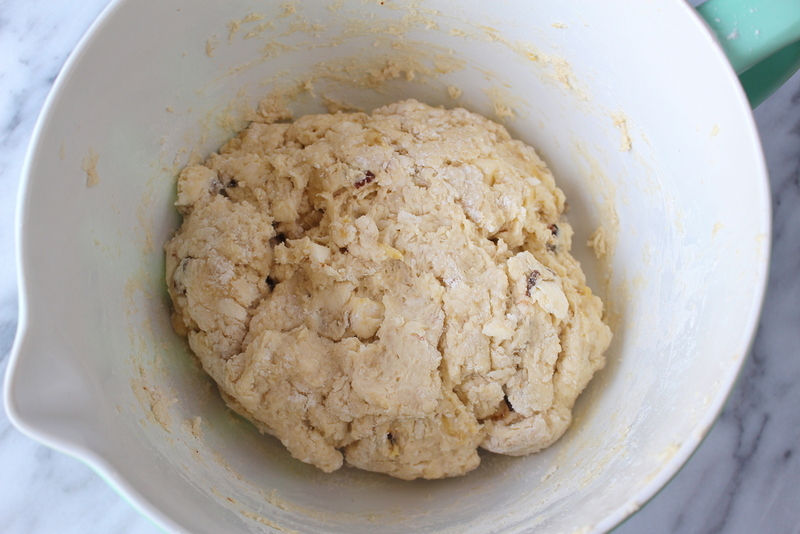 Using your fingers, cut the butter into the flour mixture. Some chunks of butter will be larger than others, this is perfect. In a small bowl combine the buttermilk and egg, beat together with a fork. Add the buttermilk mixture and bananas to the flour mixture, stirring until just combined. Fold in the bacon pieces. Dump the dough onto a lightly floured surface. If your dough is still pretty sticky, add more flour. I added about another 1/2 cup to mine while kneading the dough. You might need more or less, just feel it out while you are kneading. You will want the dough to be nice and soft. Roll or press out to about 1 inch thickness, and cut into rounds using a cutter. 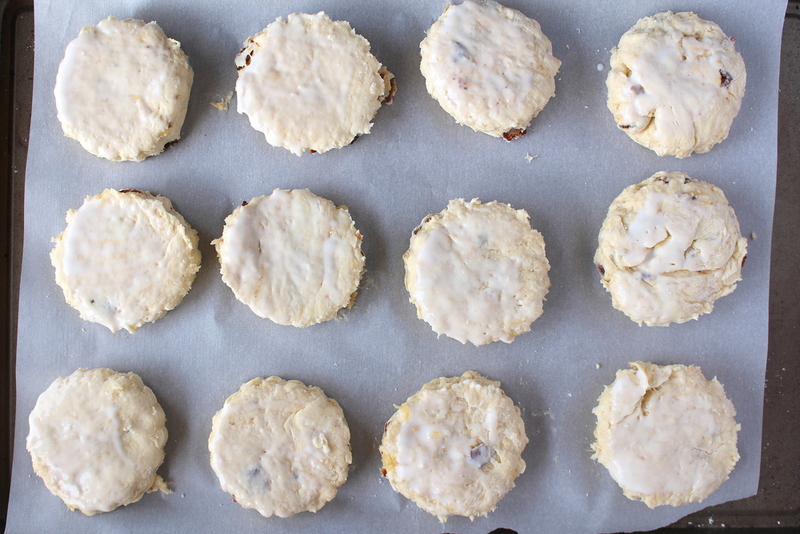 Using the scraps, press or roll out again to cut out more scones. Place on baking sheet lined with parchment paper. Lightly brush the tops with buttermilk. Bake for 15-18 minutes, or until golden on top. Let cool for a few minutes. While the scones are baking, melt the peanut butter in the microwave. 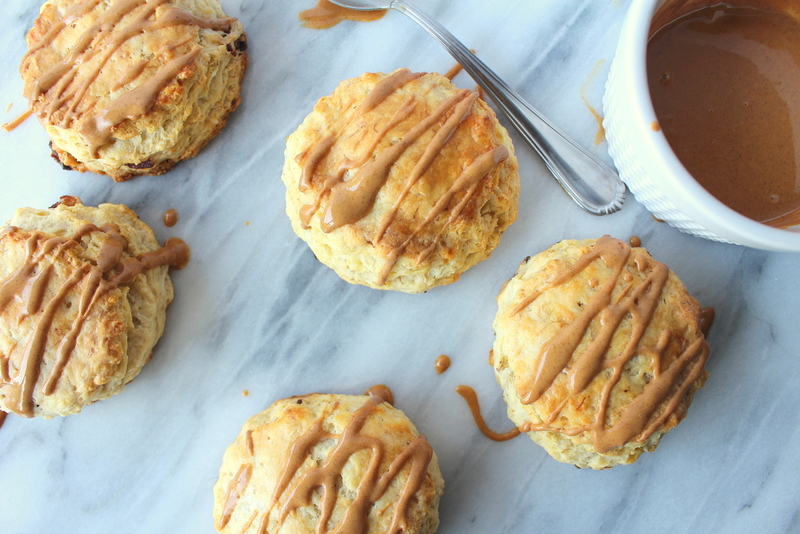 Drizzle the tops with the melted peanut butter and serve warm!